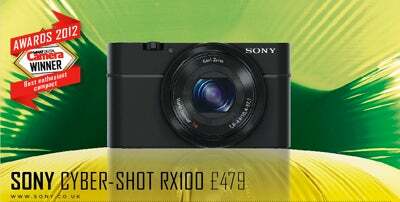 To read our full review of the Sony RX100, click here. Sony’s RX100 is the company’s first premium, enthusiast compact in recent memory, and quite a camera it is too. Opting for a physically larger sensor than most of its pocket-sized rivals, the RX100 sports an impressive 20.2MP 1in Exmor chip that delivers excellent results. Not only that, but the RX100 features a sharp and fast 3.6x optical zoom with a bright maximum aperture of f/2.8 at 28mm. On the front is an intuitive control ring, allowing you to quickly change a host of settings which goes some way to delivering a camera that handles brilliantly. Add to that the quality metal finish, understated, sleek design along with the ultra-sharp WhiteMagic display, and the RX100 provides the user with a perfect blend of size, image quality, handling and price, making the RX100 the perfect choice for the discerning photographer.